Hypnotherapist Leigh Huthwaite helps those trying to cope with stress. After years of working in the corporate world and dealing with stress herself, she decided on a complete career change and retrained as a hypnotherapist. 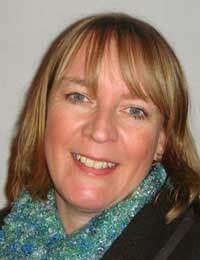 Today Leigh runs Norfolk-based Leighamanda-hypnotherapy, where she combines hypnotherapy with Neuro-Linguistic programming (NLP) techniques to enhance the hypnotherapy experience. She believes this has more impact for the client and enables them to move on with any issues in their life. Here Leigh discusses whether her work as a hypnotherapist can be of help to those suffering from stress. Q: Why did you decide to work in hypnotherapy? A: I chose to become a hypnotherapist as I use to work in a very stressful job where stress and the strains of modern day life were clearly getting to people, especially in the current economic environment. I decided to change my career and help those people who want to make their world a better place by being more calm and in control of their own destiny. Q: What are your specialist areas within hypnotherapy? A: I particularly specialise in weight management, stopping smoking, stress and self confidence. A: Absolutely, we all pile the stress on ourselves unfortunately to some degree. We all feel we need to move through life at a speed of knots to keep up with our colleagues and peers - and even our neighbours - and in the melee of this we lose sight of what's really important. It’s very sad, that's why I am working to help all those that I can! Q: What seem to be the main causes of the people you help deal with their stress? A: As well as what I have already mentioned, it can be a case of putting unrealistic pressure on ourselves and not living enough in the moment. We do not take time out to live each day as it comes rather than planning ahead, sometimes years in to the future, when what we really need to do is just slow down and reflect on our blessings. Q: So how can hypnotherapy help? A: Hypnotherapy is a powerful tool which facilitates the client into taking more control of their lives in a number of ways. Perhaps focusing on their limiting beliefs (“I can't do this, and I can't do that”) and then eliminating them. Hypnotherapy sessions also help the client to slow down, take stock and not allow their fearful thoughts to overwhelm them. We all have inner voices in our head which regularly talk to us and tell us all about what might happen and what might go wrong. They also get us to over-analyse information and take too much on board. Hypnotherapy is fabulous in getting us to slow down and rationalise in a more appropriate manner. Q: Can anyone have hypnotherapy for stress? A: Absolutely, a good hypnotherapist should offer a free initial consultation to talk to the client about their anxiety and stress, where it stems from and then work through a plan of action with them to reduce this stress to a manageable level. Putting the client in charge is the desired end result. Q: Should people be worried about being hypnotised? A: No, there are many myths surrounding hypnotherapy, which are untrue. Again, a good hypnotherapist will talk to a client about what hypnotherapy is and isn’t - and put the client at ease before any sessions are started. Q: Can the benefits of hypnotherapy be long term or does someone have to have regular sessions? A: The benefits can be long term, but will depend on the client’s desire to take control, and more importantly maintain it. This will vary from client to client. An initial session would be taped for the client to listen to after the session, especially when triggers may arise that can cause their thoughts to run away with them. They would then have the tape at hand to reinforce the messages from the session and play this back. It’s also good to use the tape to listen to on a regular basis to continue the focus on the unconscious mind, these are the thoughts that come from nowhere, perhaps when we are stressed. They can stop us thinking logically. Q: Can you teach people techniques to do themselves at home when they feel stressed? A: Absolutely. There are some great techniques that can be called upon to help. Q: At what point would you suggest someone ought to seek medical help for their stress? A: As part of a consultation we would take a detailed medical history from the client and one of those questions would be whether they had sought medical help. Stress is quite hard to evaluate, as what is stressful to one person may not be to another. If a client was feeling completely helpless and was experiencing severe physical symptoms I would talk this through with the client and would suggest they have a check-up with their GP to see if there are any underlying medical conditions that may be affecting their thought patterns or behaviour.